The American Diabetes Association is looking for Amateur Radio help with two cycling events this spring. Looking for volunteers with own equipment for rest stops (5), sag vehicles and start/finish support. Looking for volunteers with own equipment for rest stops (4), sag vehicles and start/finish support. All volunteers will receive a tee-shirt and lunch. For more info or to volunteer, call Faith at 888-DIABETES (888-342-2383) x 3456 or email her at flinsky@diabetes.org. I have been approached about possibly providing ham radio communications assistance to the Boston Beanpot Cycling Classic in Grafton on Saturday, April 8th from 7am-4pm. They are looking at the prospect of deploying hams to help them out. They have 24 marshal locations, 8 police locations, a feed zone, a medical zone and the start/finish. There is the potential to deploy at least 35 hams if we can get that many. Please pass this around. Thanks! * You can have the list e-mailed directly to you as it is updated. The ARRL has announced its 2006 Summer Teachers Institutes on Wireless Technology, funded by generous contributors and support from League members. The hands-on program teaches the basic concepts of wireless, space and robotics technology in the classroom. The workshops are targeted at active and interested school teachers at elementary, middle or high school level, or leadership in enrichment or after-school programs. An Amateur radio license in not required. The four, one-week-long, expense paid sessions are limited to 12 participants to maximize participation and individual attention. If you know of any teachers in Eastern Massachusetts who might benefit from these innovative programs, please have them visit http://www.arrl.org/FandES/tbp/ti.html for more information and to apply. The February, 2006 EMA traffic net and Public Service Honor Roll totals have been posted to http://nts.ema.arrl.org under “Main Menu | STM Monthly Report“. As you can see in the Subject line above, this is a plural event. The Multiple Sclerosis Society is organizing not only its historic Boston/Cambridge walk, but at the same time, a walk from Wellesley to Boston. And so we start off the 2006 season of ham radio public service events. We have been asked to support communications for both events which increases our need for your help on Saturday, 8 April. Yes, these are on a Saturday! The ham assembly time for the usual Boston/Cambridge walk is 1000 on Boston Common near the intersection of Beacon St and Charles St. The Walk route will proceed west on the Boston side of the Charles River, cross to Cambridge, go east on Memorial Drive and back to Boston. Our tasks should be completed by early afternoon. The usual hearty lunch will be provided for all volunteers. The “Journey For Hope,” as the Wellesley to Boston walk is called, starts at Elm Bank along the Charles River and proceeds along Route 16 to Route 30 (Commonwealth Ave) in Newton, and then to the Boston Common. There will be several checkpoints along the way. Hams assigned to the start and the checkpoints can go directly to their assignments. The start will need communications at 0700, but the other locations will be later. Lunches will be provided. For both walks, there are several hazardous or confusing locations, some shadows, and possibly mobile units. Net Control for both events will be in our tent on Boston Common. Present plans call for the Boston/Cambridge walk to use 2 meters and the Journey to use 70 cm, but this is subject to change. If you are new and want to get more public service experience, this is an excellent event to get your feet wet. 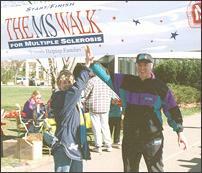 These MS Walks are a low impact opportunity to learn the ropes. Your assistance is valuable. Please let me know promptly if you can help. I will get more details to those who volunteer as soon possible. If you have already volunteered, bear with me and reply to this, also. Get back to me if you have any questions or would like to recommend another ham to join us. A reminder that the monthly ARES Net for March is rapidly approaching. 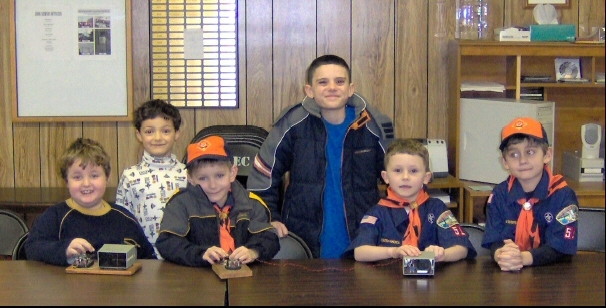 The monthly ARES Net for March is March 6th, 2006, at 8:30 PM on the MMRA Repeater system. This is after the RACES Nets earlier in the evening. BILOXI, Miss. – Students who want to volunteer in the Mississippi Hurricane Katrina recovery effort during their 2006 spring break need to come with a plan and a volunteer agency or faith based group affiliation before making the trip. The Mississippi Emergency Management Agency (MEMA) and U.S. Department of Homeland Security’s Federal Emergency Management Agency (FEMA) encourage volunteer participation in the disaster recovery but advise students to plan ahead so they can provide the most help in their brief time away from classes. Currently, there are more than 100 voluntary organizations serving in Mississippi. Students may find and register with these voluntary organizations through the Mississippi Commission for Volunteer Service at www.mcvs.org. They can also locate them at www.idealist.org, and www.usafreedomcorps.gov, which provides a special page of volunteer opportunities in the hurricane-affected areas. Students also need to know about the post-hurricane conditions in Mississippi. Some areas are still dangerous so students need to be extremely careful. Accommodations are in short supply along the Mississippi coast, so many voluntary and faith-based organizations are providing limited but adequate sleeping facilities as well as meals. Organizations match needs with volunteer skill sets; volunteers with construction or equipment skills are in high demand. FEMA manages federal response and recovery efforts following any national incident. FEMA also initiates mitigation activities, works with state and local emergency managers, and manages the National Flood Insurance Program. FEMA became part of the U.S. Department of Homeland Security on March 1, 2003. Daignault describes the operation as a great trip, and a chance to make a few QSOs. Tentative plans call for a setup crew to head out on the afternoon of Thursday, May 4, and stay all weekend; then, head home the evening of Sunday, May 7. According to N1JOY, “This will be a Field Day-style setup, operating on generator power the entire time. As in previous years, Daignault will be hauling out his “rusty and trusty” radio trailer. 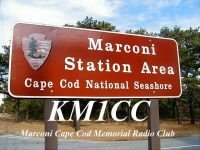 The Martha’s Vineyard DXpedition will overlap with the New England QSO Party on May 6-7. If you are planning to join N1JOY and crew, or would like more information, please contact him at: n1joy@arrl.net.